Undoubtedly by now you have heard of AzureFest, with any luck you have been out to one of the events [if you live in the GTA]. For the rest of you, that haven’t been able to experience the event, I wanted to take the opportunity to introduce you to what AzureFest is and why you might be interested in the event itself. At it’s core AzureFest is a talk that focuses on a few barriers to Windows Azure Adoption including Pricing, Registration, Platform Confusion and Coding/Deployment. This is not your Grandma’s Windows Azure Presentation, It includes both a lecture and a hands on component which is rare for a Community Event. Simple, pricing is the first question that I get asked at the end of every presentation that I’ve done to date, so why not talk about it first? Pricing goes hand-in-hand with the Platform, which means not only do you get to understand what the Windows Azure Platform consists of, but you also get an understanding of what it will cost as well. Finally, It would be rather irresponsible not to talk about the costs of Windows Azure when the first Hands-on-Lab is a walkthrough of the registration process. Attendees will also learn some of the gotcha’s around the Tool Installation/Configuration Process and some strategies on how to debug your cloud based solutions both on premise [using the Compute Emulator] and “In The Cloud”. Bonus… We’re giving it away! In the spirit of growing adoption of the Windows Azure Platform within Canada [or any country for that matter], ObjectSharp is releasing the content as an Open Source Presentation. This means it is FREE for anyone to download, learn and/or deliver. If you have specific questions about delivering an AzureFest presentation, or need clarification on the content, please direct your questions to me via twitter. Cory Fowler refers to himself as a ‘Developer as a Service’. He is a Technology Community Leader, Mentor and Speaker that enjoys sharing his passion for Software Development with others. Cory has been awarded with a Microsoft MVP award for his Focus on Windows Azure (Microsoft’s Cloud Computing Platform). Even with his head in the Clouds, Cory finds himself developing a wide range of Solutions including but not limited to Websites (with ASP.NET MVC & Silverlight), Windows Phone 7 Applications (with Silverlight & XNA) and other solutions using the C# Programming Language. As a Software Developer we have many options when it comes to the tools that we put in our tool belt. One thing that I’ve found exceptionally useful over the years are Virtual Machines, not only Virtual Machines, but having a tailored environment to what you’re Developing. With my focus on the Cloud I thought it would be useful to continue the trend of Building out a Virtualized Environment that’s Tailored to my work that I’m doing in the Windows Azure Platform. I’ve compiled a list of the Tools and SDKs in which I have found the most useful while working on projects for Windows Azure. Note: Windows Server 2008 R2 is a Handy OS to have on a Virtual Machine within your environment if you expect to have to use the VM Role in Windows Azure. This article also appears on SyntaxC4's Blog. In the last post of this Series, Installing PHP on Windows Azure leveraging Full IIS Support: Part 1, we created a script to launch the Web Platform Installer Command-line tool in Windows Azure in a Command-line Script. In this post we’ll be looking at creating the Service Definition and Service Configuration files which will describe what are deployment is to consist of to the Fabric Controller running in Windows Azure. Unfortunately there isn’t a magical tool that will create a starter point for our Service Definition file, this is mostly due to the fact that Microsoft doesn’t know what to provide as a default. Windows Azure is all about Developer freedom, you create your application and let Microsoft worry about the infrastructure that it’s running on. Luckily, Microsoft has documented the Service Definition (.csdef) file on MSDN, so we can use this documentation to guide us through the creation of our Service Definition. Let’s create a file called ‘ServiceDefinition.csdef’ outside of our Deployment folder. We’ll add the following content to the file, and I'll explain a few of the key elements below. We will be using a Windows Azure WebRole to Host our application [remember WebRoles are IIS enabled], you’ll notice that our first element within our Service Definition is WebRole. Two Important pieces of the WebRole Element are the vmsize and enableNativeCodeExecution attributes. The VMSize Attribute hands off the VM Sizing requirements to the Fabric Controller so it can allocate our new WebRole. For those of you familiar with the .NET Stack the enabledNativeCodeExecution attribute will allow for FullTrust if set to true, or MediumTrust if set to false [For those of you that aren’t familiar, Here’s a Description of the Trust Levels in ASP.NET]. The PHP Modules for IIS need elevated privileges to run so we will need to set enableNativeCodeExecution to true. 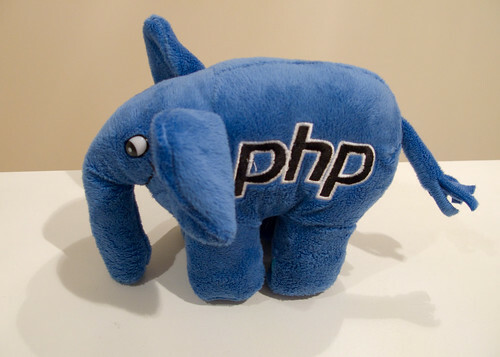 In Part one of this series we created a command-line script that would initialize a PHP installation using WebPI. You’ll notice under the Startup Element, we’ve added our script to a list of Task Elements which defines the startup Tasks that are to be run on the Role. These scripts will run in the order stated with either limited [Standard User Access] or elevated [Administrator Access] permissions. The taskType determines how the Tasks are executed, there are three options simple, background and foreground. Our script will run in the background, this will allow us to RDP into our instance and check the Logs to ensure everything installed properly to test our deployment. In the Service Definition above we’ve added some additional folders to our deployment, this is where we will be placing our website [in our case, we’re simply going to add an index.php file]. Within the Deployment Folder, add a new folder called Websites, within the new Websites folder, create a folder called MyPHPApp [or whatever you would like it named, be sure to modify the physicalDirectory attribute with the folder name]. Now that our directories have been added, create a new file named index.php within the MyPHPApp folder and add the lines of code below. Now that we have a Service Definition to define the hard-requirements of our Service, we need to create a Service Configuration file to define the soft-requirements of our Service. Microsoft has provided a way of creating a Service Configuration from our Service Definition to ensure we don’t miss any required elements. If you intend to work with Windows Azure Tools on a regular basis, I would suggest adding the Path to the tools to your System Path, you can do this by executing the following script in a console window. We’re going to be using the CSPack tool to create our Service Configuration file. To Generate the Service Configuration we’ll need to open a console window and navigate to our project folder. Then we’ll execute the following command to create our Service Configuration (.cscfg) file. You’ll notice that executing CSPack has generated two files. First, It has generated our Service Configuration file, which is what we’re interested in. However, the tool has also gone and compiled our project into a Cloud Service Package (.cspkg) file, which is ready for deployment to Windows Azure [we’ll get back to the Cloud Service Package in the next post in this series]. Let’s take a look at the Configuration file. Where did all of this come from? Let’s look at a simple table, that matches up how these settings relate to our Service Definition. 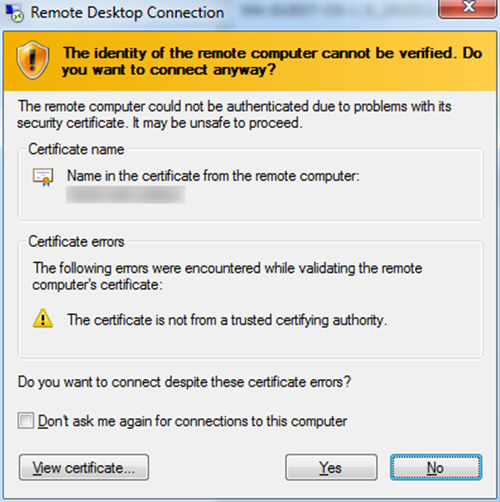 For more information on the RemoteAccess and RemoteForwarder check out the series that I did on RDP in a Windows Azure Instance. 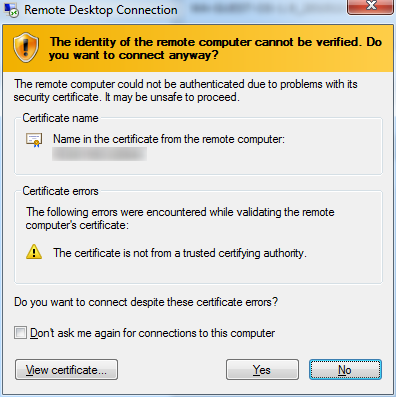 These posts will also take you through the instructions on how to provide proper values for the RemoteAccess and RemoteForwarder Elements that were Generated by the Import statements in the ServiceDefinition. There are two additional attributes in which I would recommend adding to the ServiceConfiguration Element, osFamily and osVersion. These attributes will change the underlying Operating System Image that Windows Azure runs to Windows Server 2008 R2 and sets your Role to automatically update to the new image when available. You can control the number of instances of your Roles are deployed by changing the value of the count attribute in the Instances Element. For now we’ll leave this value at 1, but keep in mind that Microsoft’s SLA requires 2 instances of your role to be running in order to guarantee 99.95% uptime. In this entry we created both a Service Definition and a Service Configuration. Service Definitions provide information to the Fabric Controller to create non-changeable configurations to a Windows Azure Role. The Service Configuration file will provide additional information to the Fabric Controller to manage aspects of the environment that may change over time. In the next post we will be reviewing the Cloud Service Package and Deploying our Cloud Service into the Windows Azure Environment. Remembering back to when I was in the Audience in the Community, the one thing I always wanted to find out about was Best Practices for the Particular Technology I was listening about. I’m sure a number of people feel the same way. Best Practices are hard to introduce in a talk as you’re typically only speaking to 10% (if that) of your audience and leaving the other 90% scratching their heads. For this reason, I am providing this blog post as a resource to find allow people interested in Best Practices to proactively seek them out with a little bit of Guidance. Let’s face it, you may want to know the Best Practices from the beginning as you think you’re doing yourself a favour by knowing how to be a smooth operator. STOP, Let’s take a moment to step back and thing about this. Just because something has been outlined as a best practice doesn’t guarentee that it is for your particular situation. Part of Identifying a Best Practice is knowing your options for a particular situation. Once you know you have the right fit for your particular situation then you can extend your implementation to leverage a Best Practice to Guarentee that you’ve solidified your feature in it’s Best Possible Functioning Implementation. My First Tip for seeking out best practices is to Know your Platform & Your Options. There are a number of resources for getting to know Windows Azure on my blog [which I’ve recently installed Microsoft Translator to provide great content for all to read] and the Windows Azure Team Blog. As good as the content is that you read online, you will want to turn to a number of printed [or electronic] books. Here are a few books that I would suggestion. This book is not about Best Practices. However, it provides the best explanation of the Windows Azure Internals to date. 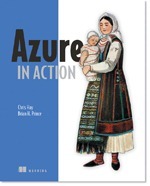 The first few chapters provide insight into the Fabric Controller and the Windows Azure Fabric. I would consider this an initial “Deep Dive” Starter read to get into Microsoft’s Cloud Computing initiative and an understanding of Windows Azure’s offerings in the Platform as a Service (PaaS) Cloud Space. My most recent read was Moving Applications to the Cloud by the Microsoft Pattern and Practices Team. This book was very insightful as to some of the Practices that Microsoft has been implementing while moving into the cloud, obviously obfuscated through a hypothetical company Adatum and their Expenses Tracking System aExpense. This book got me thinking about a number of great architecture concepts and some great value add code that can be re-used over a number of Projects. I enjoyed the previous book so much that I will be picking up the other guidance book from Microsoft, Developing Applications for the Cloud. I’m going out on a limb to say that based on the previous book, I’m betting that this book will be rather insightful, hopefully providing more guidance on Architecting Applications for Windows Azure. This next resource might not be something you will read end to end. I would say that this is definitely an item you should be referring to when designing your Cloud Architecture. AzureScope: Benchmarking and Guidance for Windows Azure is an all encompassing guide for Best Practices, Benchmarks, Code Samples next to which my Essential Guide for Getting Started with Windows Azure post look like one of those rings you pick up at the cash register of your local dollar store. Hopefully this post will help those in my audiences that I am unable to reach out to at this point with that Best Practice Deep Dive. I have no doubt that Cloud Computing is the future of Application Deployment and Hosting. I also believe that Microsoft is putting forth a very strong offering with Windows Azure. Regardless your technology, the Best Practices provided in this document will provide you with some thought provoking reading material which after all is most likely one of the main contributing factors in choosing Software Development as a Career. Considering this blog post is about an open source language (PHP), I’m intentionally avoiding my trusty development tool Visual Studio. Even without using Visual Studio it will be necessary to download the Windows Azure Tools & SDK 1.3, this will provide us with some necessary command-line tools. That’s right, Windows Azure is Console Ready! Over the next three blog posts, I am going to be describing how to Install PHP on Windows Azure. With the release of the 1.3 release of the Windows Azure SDK, Microsoft has enabled Full IIS (Internet Information Services) support in Windows Azure [this provides support for IIS Modules] and Start-up Scripts [which allow you to run command-line or powershell scripts on your deployment while the role is starting]. We will be leveraging start-up scripts to execute the [new] WebPI Command-line tool to install and configure PHP in IIS within a Windows Azure Web Role. Before we can even write our first start-up script there is one thing we need to get out of the way first and that’s where we create them. To understand what we’re doing lets do a quick break down on how deployments work in Windows Azure. 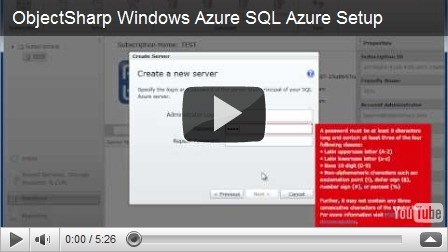 Windows Azure requires only two files when deploying an application to the Cloud. A Cloud Service Definition file which defines the fixed resources for our Windows Azure Compute Instance. The Service Definition is responsible for setting up Web Roles, Worker Roles, Virtual Machine Roles and Network Traffic Rules. 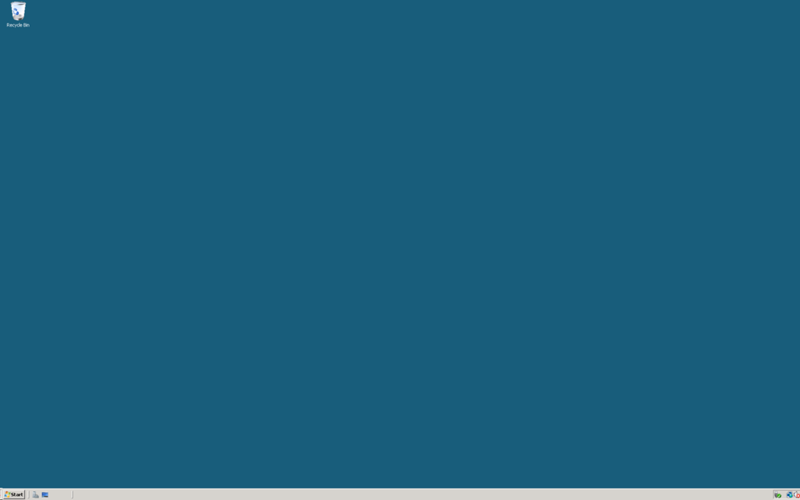 These settings are then relayed to the Fabric Controller which selects the appropriate resources for your Compute Instance from the Fabric and begins provisioning your Deployment. Your Application, which can consist of many Roles. Considering we’re using the Platform as a Service Model that Windows Azure offers, there are two main types of Roles: Web Roles and Worker Roles. A Web Role is like a typical Web or Application Server which runs IIS and Serves up Web Content. A Worker Role is a continuously running process which basically mimics a Windows Service. Second, is the Cloud Service Configuration file which builds on top of what the Service Definition file provides to the Windows Azure Fabric Controller, only these values can be changed without the need to redeploy the Service Package. The Service Configuration is where you control the number of Instances your application is distributed across, as well as Windows Azure Storage Service Connection Strings and other values which may need to get changed over an Applications Lifespan. That’s Great, but why did you tell me this? 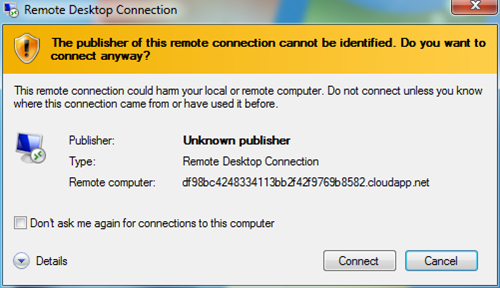 Windows Azure is using the Convention over Configuration approach when it comes to start-up script location. You will be configuring where your application is actually located on your physical machine, but the Azure Tools are going to be looking for your scripts in ‘AppRoot/bin’. The AppRoot is determined by the name of your Role within the Service Definition file. For now, lets stick with a very simple directory structure and we’ll talk about the Service Definition in the next post. In a directory that you’ve created for your deployment create a ‘Deployment’ directory and within that create a bin folder. We will be adding our start-up scripts to the bin folder. Show me The Code Already! Fire up Notepad++ we’re going to create our start-up scripts to enable PHP within IIS in Windows Azure. The first script that we need to create will enable Windows Update on the Windows Azure Web Role Image. The WebPI tool uses the Windows Update Process to install the Items that have been downloaded. Create a file, ‘enable-windows-update.cmd’ and paste the following script. All Windows Azure Instances run on 64bit Processors, so you can possibly get rid of the Conditional logic. Our next script is going to leverage the WebPI Commandline tool which you would have downloaded from the resource list above. This download is also required as part of the Cloud Service Package that we will be creating in a future post. Within the Deployment directory, create a folder called ‘Assets’ and another folder within 'Assets’ called ‘WebPICmdLine’. Copy the WebPI binaries into the newly created WebPICmdLine folder. Note: The WebPI tool is very powerful tool and can do much more than just install PHP. You may want to read the documentation found on the IIS Blogs and on MSDN. Create a new file, 'install-php.cmd' and paste the following script. REM This isn't necessary, but may be handy if you want to leverage all of Azure. The last line of that Script is a call to another script that needs to be run after PHP is actually installed. This isn’t a necessary step, however the ‘install-php-azure’ script [provided below] will place the ‘php_azure.dll’ in the php/ext folder and add the extension within the php.ini file. Adding the dll from the Open Source Project Windows Azure SDK for PHP available on CodePlex gives you the ability to leverage Blobs, Tables, Queues and other Azure API features. You will need to add the php_azure.dll file that you download from CodePlex to the Assets directory [for consistency create a directory called ‘Windows Azure SDK for PHP’]. Create a file, ‘install-php-azure.cmd’ and paste the following code. xcopy "..\Assets\Windows Azure SDK for PHP\php_azure.dll" "%PROGRAMFILES(X86)%\PHP\v5.2\ext"
We have completed creating the scripts required to install PHP on Windows Azure. In my next blog post in this series I will explain how to create the Cloud Service Definition and Cloud Service Configuration files. We’ll start to get a better understanding as to how our Deployment fits together in the Windows Azure Platform. In the Third Part of this series we will package the Deployment using the command-line tools for Windows Azure and finally deploy our application to the cloud. One of the hardest things we face as developers is Troubleshooting and Debugging code in different environments and scenarios, this continues to hold true in the Cloud. This Blog post will outline some of the resources available to developers that are trying to troubleshoot Windows Azure. Even though the Cloud attempts to limit diversity amongst it’s hardware, the Operating System is something that will always need to be able to adapt new features or emerging security threats. One thing that Microsoft has done particularly well is keeping Operating System upgrades very Abstract in Windows Azure by releasing a new Virtual Machine (VM) Image (OS Guest) with every set of new upgrades. The VM images are controlled in the Cloud Service Configuration (cscfg) file by setting the osFamily and osVersion attributes. Deployment is the stage of development in which you have the least amount of control. A number of Debugging paradigms are not available unless the Role Initializes and is created successfully. Once the Role is created, you will be able to debug using Remote Desktop Access to Windows Azure (if configured), or Download Intellitrace Diagnostics Information (if enabled). With the introduction of Start-Up Tasks, many new scenarios that may involve debugging have been introduced. Be sure to test your startup scripts using RDP before trying to deploy your application with the Tasks configured in the Cloud Service Definition (csdef) file. This includes both the Tools & SDK as well as support for .NET Libraries & Technologies. 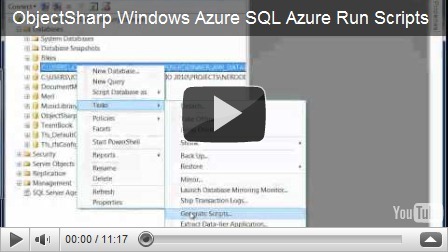 SQL Azure is a Relational Database System in the Cloud. Microsoft’s Cloud approach to the cloud does not limit support for Popular Programming Languages and therefore was a need for a Management Component for SQL Azure to allow those who are not using the Microsoft Stack a way to manage their SQL Azure database without the need to install SQL Server Management Studio (SSMS). When Microsoft started Venturing down the road of Creating SQL Azure they had a number of security concerns to address exposing a full features SQL Server instance in the Cloud. With this in mind, there were a number of features that were pulled out of SQL Azure from your typical install of SQL Server 2008. Along the same lines of feature support for SQL Azure, there were a number of commands that needed to be cut from T-SQL in the Cloud. Formerly Project Houston, the Database Manager for SQL Azure is a new service offering (Released at PDC 2010). An extremely compelling offering being able to manage a database from any computer that has internet connectivity, with one limitation, a dependency on the Silverlight Browser Plugin (which in my opinion *everyone* should have). Security is one of the Major concerns in the Cloud, Hopefully you aren’t using these to troubleshoot someone breaking into your application on Windows Azure, but actually reading them while you’re preparing your architecture plans for your system. This post will provide two pieces of information: first, now that your Windows Azure Platform Portal has been configured for RPD, I will show you how to initialize the RDP Connection to a Windows Azure Instance. Second, I’ll step back and explain how to Setup the Cloud Service Configuration manually (which is typically automated by Visual Studio). At this point you should have already uploaded a Certificate to the Hosted Service, checked the Enable checkbox in the Remote Access section of the Portal Ribbon and configured a Username and Password for accessing the particular Hosted Service. In the Hosted Service Configuration page, select the Instance you would like to connect to. This will enable the Connect button within the Remote Access section of the Portal Ribbon. Click on the Connect button to initialize a download of the RPD (.rpd) file to connect to that particular instance. You can obviously choose open, however this is a good opportunity to save the RDP connection to an instance just for that odd chance you can’t access the Windows Azure Platform Portal to download it again. I would suggest saving at least one RDP file in a save location for this very reason. You may need to accept a Security warning because the RDP file is Unsigned. Then supply your username and password which was set up in the previous set of posts. Once the connection has been initialized there is one last security warning to dismiss before the desktop of your Windows Azure Instance appears. Welcome to your Windows Azure Instance in the Cloud! In order to manually configure RDP access to a Windows Azure Instance in the csconfig file there are a few things that need to be done. There is a well written outline on MSDN in a post entitled “Setting up a Remote Desktop Connection for a Role”. 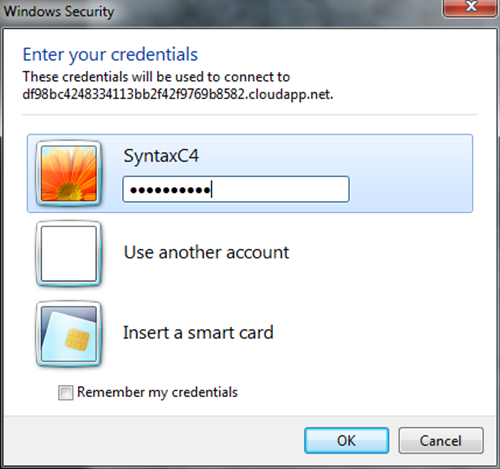 During Step 2 of the process outlined on MSDN, Encrypting the Password with Powershell, there is the need to provide a thumbprint for a Self-Signed Certificate. What isn’t mentioned within the article is that it is necessary to Capitalize the Letters and Remove the Spaces in the thumbprint in order for the Powershell script to work.